Short Essay – What Happened to All the Waitresses? | It's the Women, Not the Men! 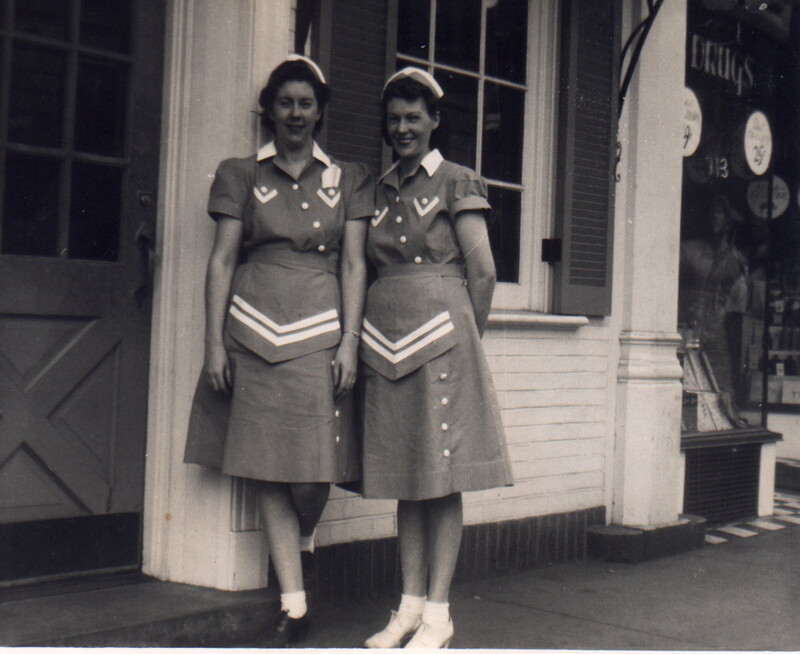 Short Essay – What Happened to All the Waitresses? Have you ever wondered why it is now considered an insult to refer to a woman waiting tables as, a waitress? Or why it’s considered rude to call a female airline employee, a stewardess? Or why it’s now offensive to refer to Meryl Streep as, an actress? Or why you can no longer call a woman who writes poetry, a poetess? Or, why you are no longer permitted to address a letter to a young female teenager as, Miss Smith!? Have you ever been caught off guard by the negative reaction you’ve received when you’ve referred to a female office worker as, a secretary? Or been rudely rebuffed when mentioning that Carly Simon is, a songstress? Or received a snickering response when commenting that Jane Eyre was, a heroine? Or been dressed-down for describing a female party giver as, a hostess. Or been criticized for describing a woman as a seamstress, huntress, aviatrix, postmistress, laundress, heiress, adventuress, benefactress, or authoress? What’s with the rabid, rude and raunchy hysteria over all words that end is “ess?” These words were created, by our Christian culture, in polite deference to women. They were special “female” nouns and were once worn with pride. They were words used to highlight the unique contributions made by women, as opposed to men, within the society. They were used as a sign of distinction, a sign of respect, just as was the “tipping of a hat” to a lady in public. They were the acknowledgement by Christian mankind that women deserved to be recognized in a unique manner. That it was noteworthy to be female, as opposed to male. These monikers were for centuries considered gestures of genteel Christian courtesy towards women, acknowledging both their value as females and as ladies. These nouns were never considered, by either men or women, to demean, trivialize or diminish women in any way. They were instead, simply signs of distinction created by Christian society in appreciation for the contributions made specifically by women. That is until lesbian-led, radical, second-wave feminism reared its ugly head in the late 1960s and early 1970s. These radical leaders of feminism invented, out of thin air, the premise that women and men were equally capable of achieving success at work if women just became more like men. This was the beginning of all of the trouble. When it became clear that this was not true, as each gender approaches their assigned tasks very differently, and, becoming men proved impossible, they invented sexism. When things did not go-their-way on the work front, they invented sexual harassment. When this didn’t improve their level of employment success, they claimed men were not providing women with a level playing field and they then insisted that men must behave more like women! And when the numbers of female CEOs remained low, they turned to academia to officially continue the blame game and finally prove that men were, absolutely, the reason for women’s underachievement at work. But, to their utter dismay, and after decades of academic vicissitudes, the radical Women’s Studies professors finally concluded, among themselves, that they could NOT develop a uniquely female field of philosophy to explain away the workplace discrepancies between men and women and finally gave up. What they did prove was that women had nothing special to contribute to the continued success of the male world of work. This left the radical feminists out-on-a-limb. And with the realization that their theories about female exceptionalism at work were wrong, and that they, as women, had nothing truly unique that they could contribute to “improving” the centuries old, and successful, Christian employment institutions, including government, business, military, medicine, judiciary, academia, organized religion and politics, they shifted gears once again. And so, as their defenses rose, so did their ire. With millions of female baby boomers, and first-time “career women”, struggling to adapt to the male world of work, rather than admit defeat, their radical feminist leaders went on the attack. To this end, one of the first things they did was to become indignant at being referred to by the same feminine nouns that their female ancestors had taken pride in. This phony indignation gave birth to “mincing of words”and gnashing of teeth. Seriously, this trivial, petty foolishness is how these oddballs thought they could become “equal” with men. OK. Let’s think this through – let’s make men stop using “female” nouns and then men won’t think of us as women any longer, and we will then be considered, just another man? DUH? As silly as this sounds, it would prove to be one of the most disarming weapons in the radical, second-wave feminist’s arsenal. These annoyingly “difficult” female’s fake indignation at being referred to as a waitress, stewardess, secretary, actress, hostess or a girl was laughable but in the professional environs of employment, there was no room for levity and so their frivolous requests were unfortunately granted, in order to shut them up! But, once again, the radical feminist’s theories proved to be short-sighted, impractical and irrational. And in the real world, as opposed to the world of academia, they simply did not work. As could have been predicted, eliminating the use of female nouns from society’s vocabulary not only failed to level the playing field for working women, but it totally backfired, sending a huge signal to the world that being female was somehow unacceptable! For the first time in history, women were being told, BY OTHER WOMEN, that they were unworthy of distinction as women but, to make matters worse, that women could only be considered “successful” if they strove to become a male! COME ON! Surprisingly, this irrational thought-process continues to pervade women’s thinking to this very day, proving that women are not only incredibly gullible but are, more astoundingly, incapable of determining what’s in their best interest! Rather than defend their innate value as women, they instead, publicly trash it, demanding to be looked upon as a man! Whose side are they on? I thought radical feminists HATED men and I thought that feminists thought women were superior beings? Maybe? Depends? Sometimes? Which poses the questions, “Do they really know what they want?” Guess not. And, “Are they totally irrational in their thinking?” Guess so. So, once again, I ask, “Where have all the waitresses gone?” Well, the lovely feminine waitresses, of our pre-feminist Christian culture, been replaced by gender neutral – servers; the beautiful stewardesses have been replaced by stewards; the professional secretaries have been replaced by administrative assistants; the glamorous actresses have been replaced by actors; and the feminine literary heroines have been replaced by heroes. Yeah. That was worth all the angst. I refuse to use the newfangled gender neutral words for a woman. I still call them waitress, stewardess, actress, miss or mrs, and secretaries or any other title for a woman. I will continue to use the feminine term, and I do not care if they like it or not! The only females that I would refer to as non-female types are the likes of those “women” that participated in that “women’s” march on 1/21/17. Those females were totally disgusting!!! Wearing their pink “p***y” hats, and being obscene & vulgar like they were was enough to make a Sailor seem polite! (not that all Sailors are that vulgar) What was your take on that “woman’s” march? Did you write a post on that? Agreed! I think the national coverage of the “Women’s March”, which they received from the Mainstream Media, ironically, did more harm than good for these freaks. It finally exposed the entire country, and the world, to the pathetically depleted wretches these females have become. Nothing I could write could make them look any worse than they made themselves look. “Sociopaths” is the word that continued to come to mind as I watched video after video of their insane behavior and irrational, vulgar and debauched diatribes! Even the uninformed had to conclude that they are certifiably insane! About gender neutral terms; is that substitution of the term you speak such as stewardess had an effect in their services (performance)? Such as how the stewardess or flight attendants serve their passengers in aviation in your country. Yes. I believe the Christian women who were addressed by distinctively female titles (which showed respect for their femininity), rather than with gender neutral terms, behaved accordingly. 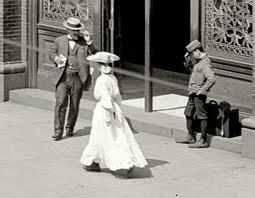 Unlike the ill-mannered, imitation-male, feminists of today, these women were MUCH more polite, caring, beautiful, soft-spoken and generally more pleasing, and kind, during their interactions with the public, and were thus, highly respected and regarded accordingly. Think-Grace Kelly, Audrey Hepburn or Loretta Young. By the way, any difference in case of service, from pre-feminist flight attendant and after-1960s one, in your country? Perhaps one of the reason, why Asian airlines like the national airline of my country; Garuda Indonesia, tend to had a better service than US airlines (which I read in Skytrax) is in my opinion due to the more lady-like manner of Asians.. No racism intended here; and God Bless. Well no matter authority and dictatorship-motivated lesbian-led radical second wave feminists believe and love to impose on others-especially generally innocent beautiful hardworking women-I still refer all the above you mentioned to their appropriate terms, the way God intended. They are all still actresses, stewardesses, waitresses, heroines and secretaries. I am not using the term, “actor,” in a generic way anymore after all that you mentioned here. Women deserve their fair share amount of respect, and must be addressed with such a manner. Thanks for this. My pleasure. 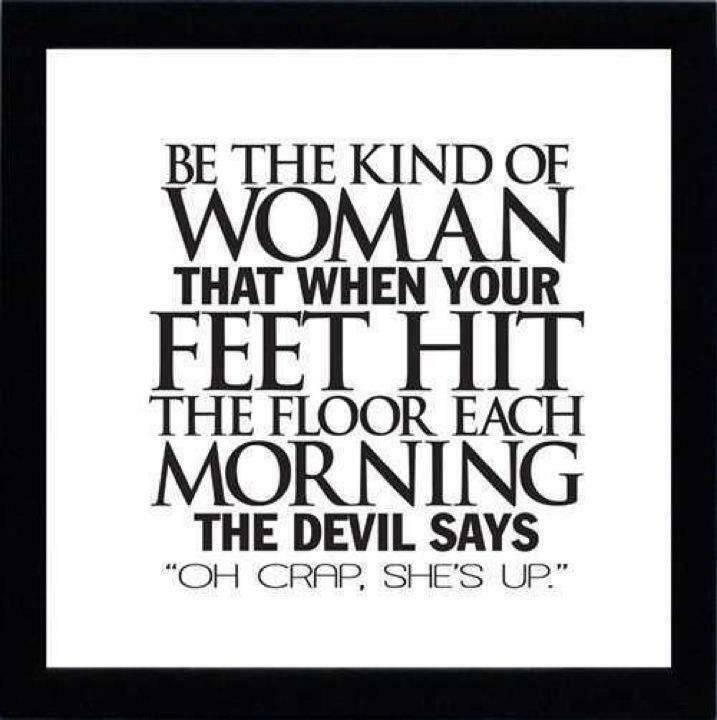 And thank you for upholding the level of respect, and polite deference, good Christian women deserve. Alas, you have nailed it. In the fems quest for equality they have nearly erased us entirely. I really miss being a waitress. A lot more went on in those coffee shops than just the pouring of coffee. Me too. I spent 4 years waitressing during college. It taught me more about human nature than anything I ever learned anywhere else, including college.